Rebecca is a Research Fellow working in the Child and Family Health Research Group, referred to as SEaRCH (Supporting Evaluation and Research in Child and family Health) within the School of Nursing. She is a Chartered member of the British Psychological Society as a Teacher and Researcher in Psychology. She joined the School of Nursing in 2018. 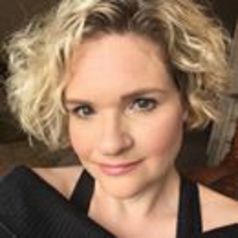 Dr Rebecca Nowland has a focus on Child and Adolescent Mental Health, with a particular interested in the influence of peer relationships and loneliness on physical and mental health and social cognition. She uses a variety of research methodologies, including both quantitative (including casual modelling) and qualitative analysis of data and physiological measures (i.e. analysis of saliva for cortisol measurement, cardiovascular measures). Current research interests: influence of loneliness, social anxiety and depression on engagement and use of internet in adolescents, influence of psychosocial factors on life transitions (e.g. transfer from primary to secondary school), influence of loneliness on health and stress responding in children and adolescents, influence of loneliness on cognition and social factors and suicidal ideation and self-harming behaviour in adolescents. Rebecca worked for many years as a Childcare Manager (Early Years and Playwork) and Community Development Worker with Children and Families, working closely with Local Childcare Providers and Health Visitors in Cambridgeshire. She completed a BSc in Psychology at the University of Central Lancashire in 2010 and a PhD entitled “Loneliness and Health: Physiological and Cognitive Mechanisms in Children and Adults” in 2014. She worked as a Senior Lecturer and Academic Group Coordinator at the University of Bolton for 4 years, where she was Programme Leader for Masters in Psychology programmes and module leader for a number of Psychology undergraduate and Masters modules. Whilst working at the University of Bolton, she continued her research into impacts of loneliness on children and adolescents, examining specifically impacts on transition from primary to secondary school and influence on engagement with social media. As part of her role of Masters Programme Leader, she wrote and delivered the first Masters in Social Neuroscience in the Country. She then worked as a Research Associate for 1 year at the University of Manchester in the Centre of Suicide Prevention working on a project examining the impact of the Mental Capacity Act and dealing with advance decisions to refuse treatment following suicidal behaviour. Her current research centres on Child and Adolescent Mental Health, with a particular interest in the influence of peer relationships and loneliness on physical and mental health and social cognition. She uses a variety of research methodologies, both quantitative and qualitative designs, including physiological measurements.